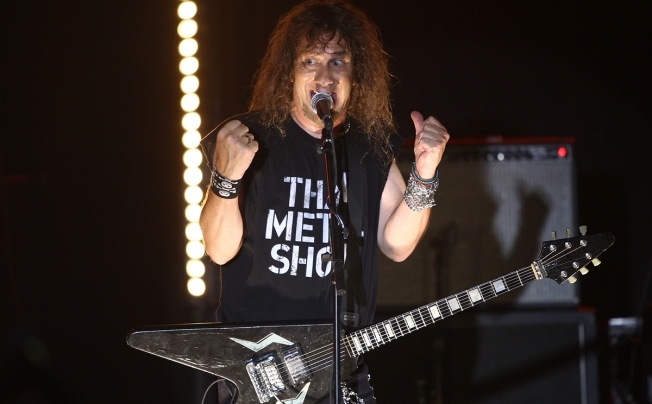 Though Canadian metal band Anvil has been around for four decades, they had a particularly great moment in 2008. A documentary was made about the band and their struggles with "making it" and getting label support and not selling out -- and it definitely shone the light back on the band, who've consistently toured here, at least in my awareness, since that doc. Tonight, they're back at Brick by Brick. Meanwhile, rapper Murs is returning to the Casbah; Slash's son rocks out in his band Classless Act, who play at Soda Bar; and our friends Braggers play a show at Bar Pink. For the bigger rooms, Trevor Hall is at Observatory North Park, Kansas play Balboa Theatre, and Locash play the sprawling Oak Ballroom at Viejas Casino.